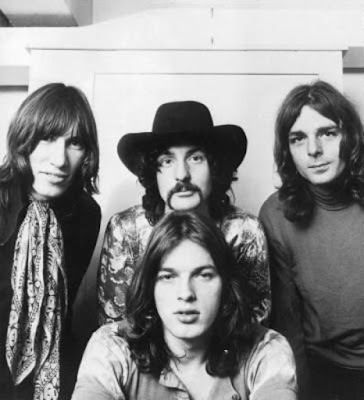 Pink Floyd are streaming rare video of a 1968 performance of “Instrumental Improvisation” originally broadcast on the BBC TV program “The Sound Of Change”, as a preview to the March 24 release of a series of individual volumes from “The Early Years 1965-1972” box set. The band were filmed in concert in London, UK on March 26, 1968 for an episode about cultural revolution through music. The footage appears on the DVD/Blu-ray portion of “1968 Germin/ation”, one of six volumes to be issued separately this month after appearing on last November’s release of the box set. The massive 27-disc package features 130 tracks from the band’s formative years, including TV recordings, BBC Sessions, outtakes, demos and more than 20 unreleased songs alongside 7 hours of previously unreleased live audio and more than 5 hours of rare concert footage.